...but when I think it, it sounds like "Awn- reeee" in a bad French accent. 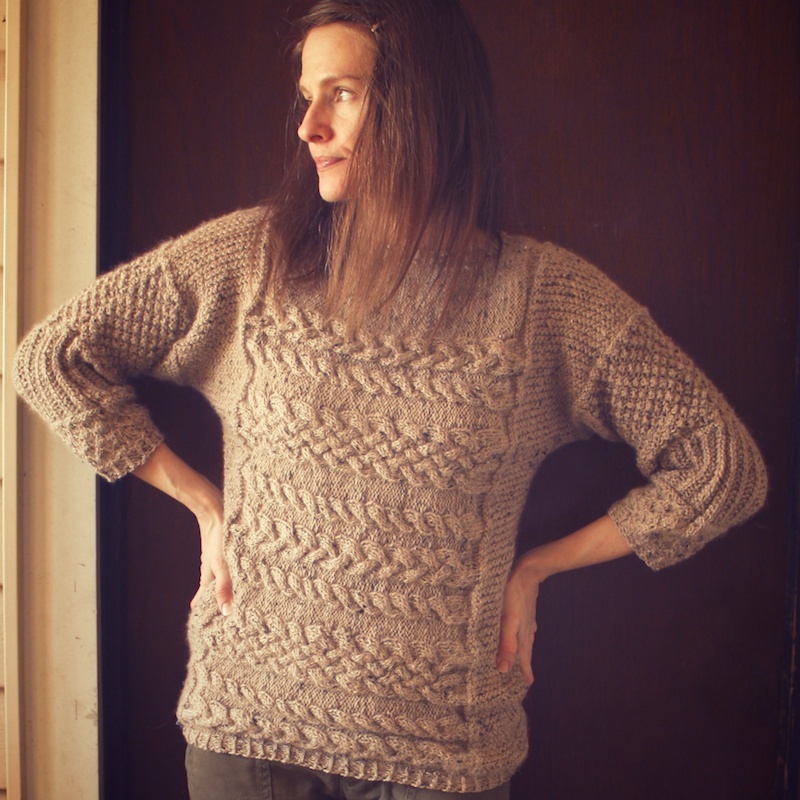 This sweater by Ann Leachman of Magical Grammar was the one thing I had to make this winter. 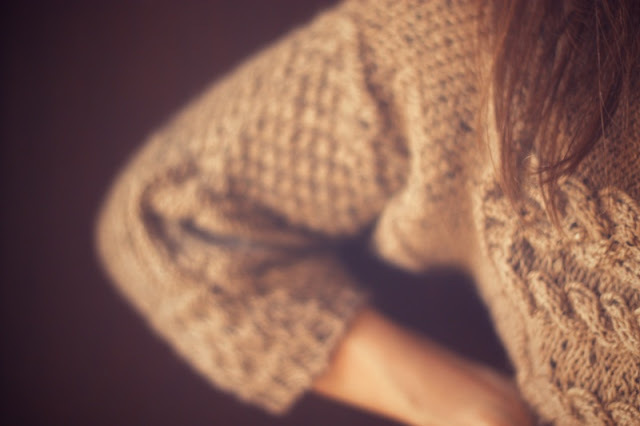 Is it not the perfect fall sweater: oversized, cabled, tweedy, and warm? I used size 3 needles to get gauge and made a size 34". 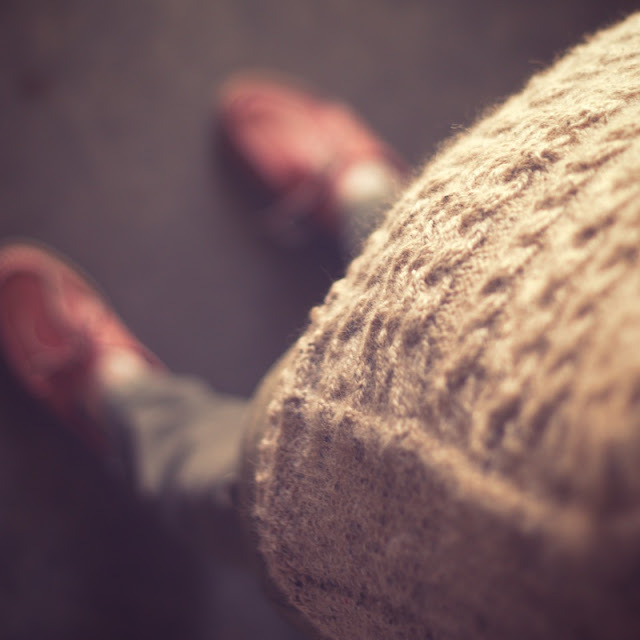 That's my size, but there's plenty of positive ease for a comfy feeling sweater. 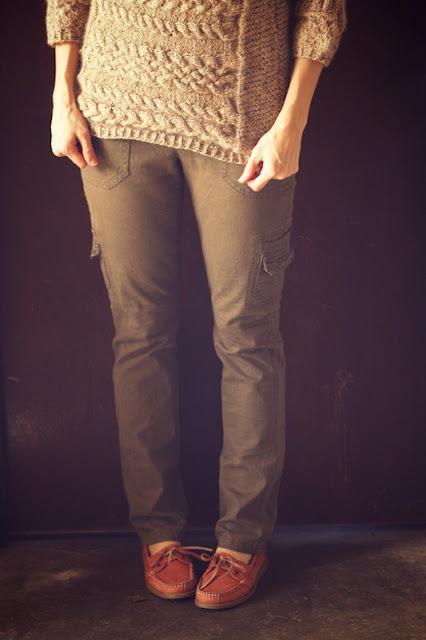 It is so comfy, in fact, that I threw it on backward to take my first set of photos and didn't notice until I was editing them. Classic me. Yeah, the photos I really liked best... all freaky backward-sweater-girl. There's one, below. It's to the designer's credit that she can make a sweater that even looks good backward. Keep in mind that I never block before making finished object photos. I just didn't feel like it and there wasn't anything to "fix", so I seamed it up and wore it. I'll get to blocking tomorrow. 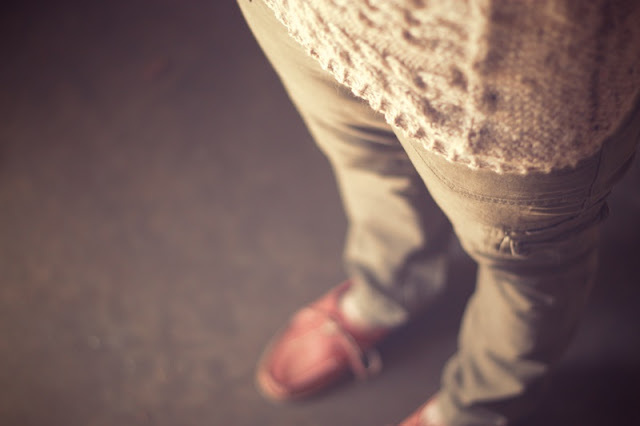 Ah, here we go, a picture of the front, on the front of me. Much better. 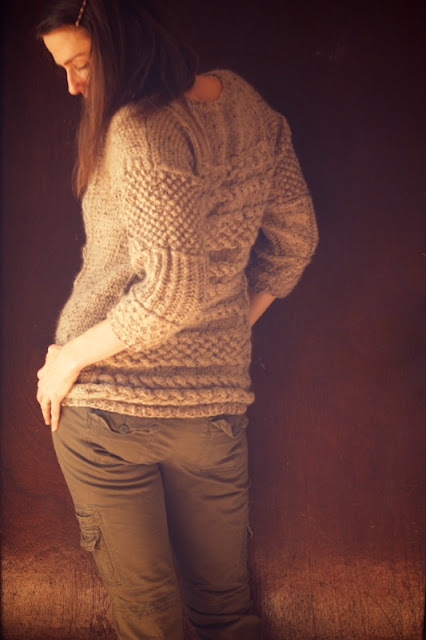 I used City Tweed in kitten (it really begged to be something cute) and loved it. 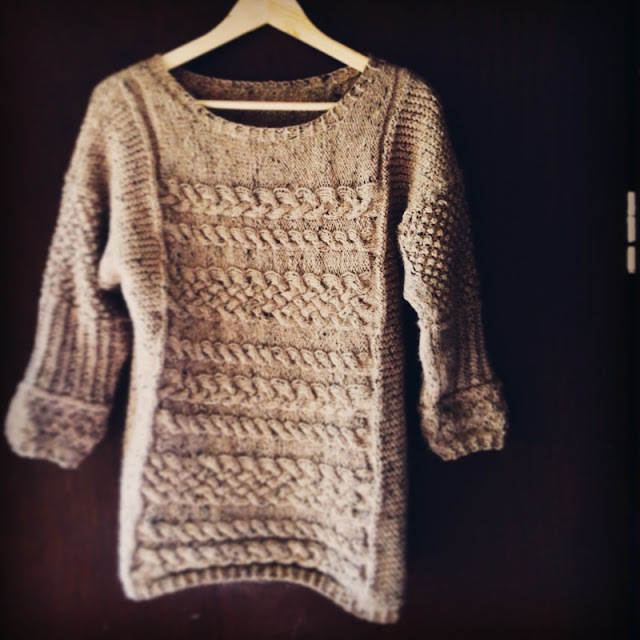 If you're into tweedy, alpaca blends, this yarn is perfect for you. 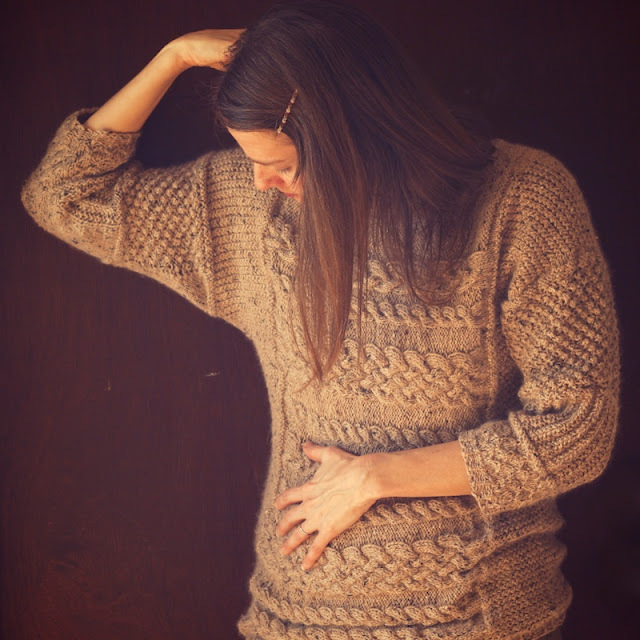 It doesn't highlight the stitch detail quite as much as the yarns used for the pattern samples, but it does push the fluffy, cozy sweater thing to the limit. I think I have some more in my stash for this sweater. 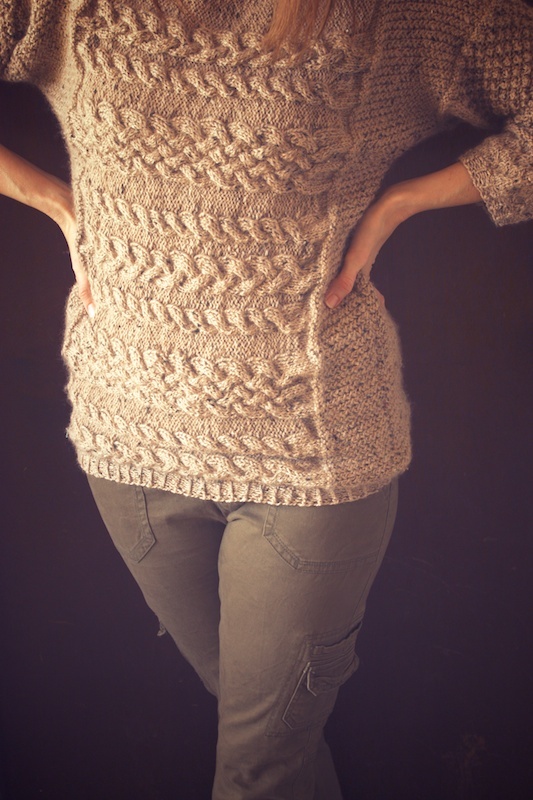 To recap: the front and back of this sweater are knit separately, then seamed along the sides. Deciding how I wanted to seam was the most difficult part of this project. I'm thinking the side seams look fine. All of those crazy stitch patterns in one place make Henri seem like a knitting sampler, sort of a knitting Pu pu platter. I missed my calling to do pattern write ups, huh? It has a lot going on, only don't let all the activity intimidate you. It's just knits, purls, and cables in varying order. and 2) spend some time getting comfortable with the different stitch patterns before turning on the tv. Remember when knitting was enough, in itself, and you didn't have to have podcasts, ipads, books, or netflix humming like a shrine to information all around you? Well, like that. 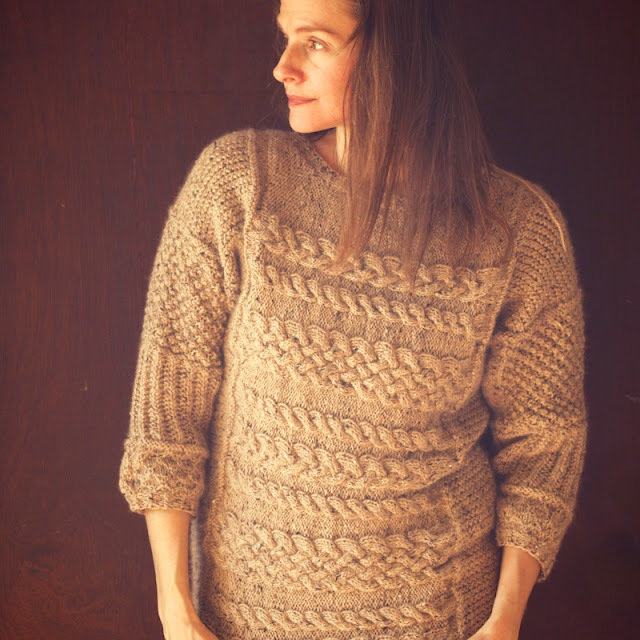 A note on the sleeves: See the stockinette wedges along the underarm of the sweater, above? That tripped me up at first. I thought I was misreading the pattern, but it is the designer's intention and repeated all the way up the arm. So, you'll be knitting the puff stitch, mistake rib, honeycomb, all up to the marker, then it's stockinette at the edge. For the neckline I picked up a bit more than every other stitch- 43 in front and 35 in back. On the bottom band it was 124 and for each sleeve 28, I think. I used Jeny's Super Stretchy bind-off, as recommended by Sara on another sweater I'd like to try. By the way, check out all of the finished projects for the Downton Abbey Knitalong on Luvinthemommyhood, be inspired, and have a happy Valentine's Day with people you love! 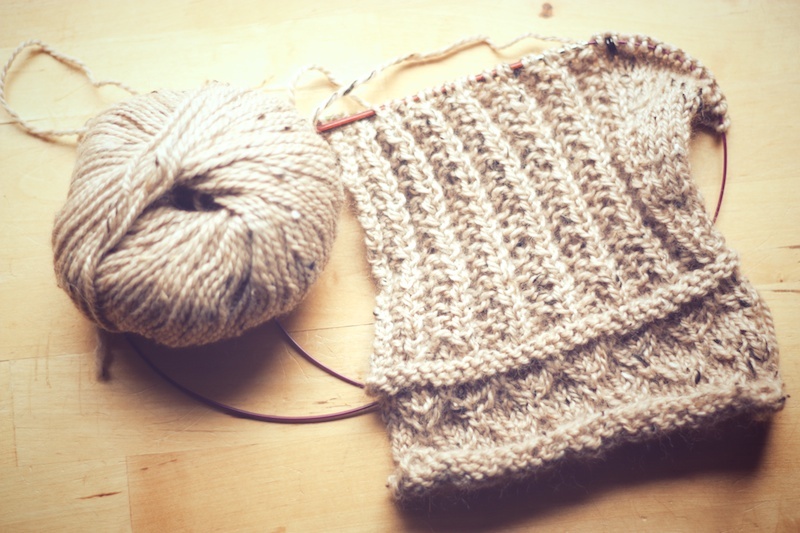 Previous posts on this sweater: the beginning, halfway point, and the seaming. More photos /info on my Ravelry and flickr.